Bishopthorpe Palace, a Grade I listed building, is situated at Bishopthorpe to the south of York. 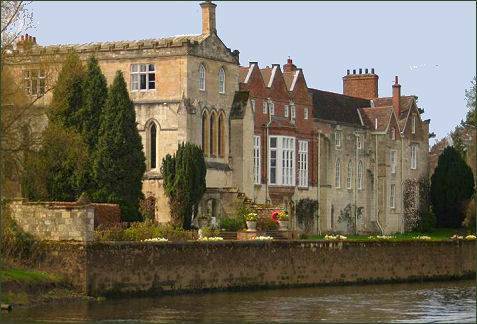 The palace stands on the River Ouse and is the official residence of the Archbishop of York. Archbishop Walter de Grey purchased the village of Thorpe St Andrew, as it was then known, in 1226. The archbishop built the palace between 1241 and 1250 and demolished the old manor house which once occupied the site. When completed the Palace was transferred to the ownership of the Dean and Chapter of York Minster, and became known as Bishopthorpe Palace. Archbishop Thoresby extended his private rooms in 1365 and over a century later in 1483 Archbishop Rotherham doubled the size of the residential quarters with the addition the north wing, and upgraded the kitchens. The Palace was remodelled for Archbishop Drummond, in the Gothic Revival style, by Thomas Atkinson of York between 1763 and 1769. The architect John Carr designed the Gothic stable block and gatehouse. 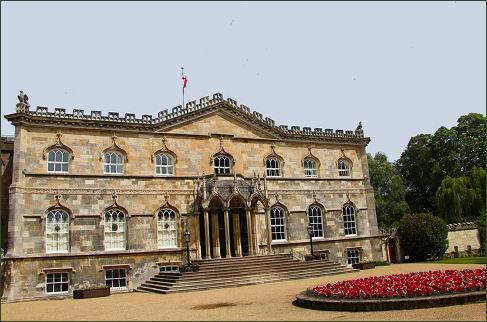 Between 1766 and 1769 the front of Bishopthorpe Palace was built with a new entrance hall and drawing room. A further addition to the north wing was undertaken in 1835 for Archbishop Harcourt who also had rooms built above the chapel. The incumbent Archbishop of York, since 2005, is John Sentamu. In addition to functioning as the Archbishop's home and office of the Northern Province, the palace and its grounds are also used for charity open days, retreats, evening receptions, village fetes, and dinners. In 1989 parts of the village, including the Palace were designated a conservation area. The Palace has a gatehouse, stables and a brewhouse and brewster's cottage.